My first official article/feature is finally here! Bellababy Studio was just profiled in 944 Magazine in San Diego, June 2010 issue. Wahooooo! 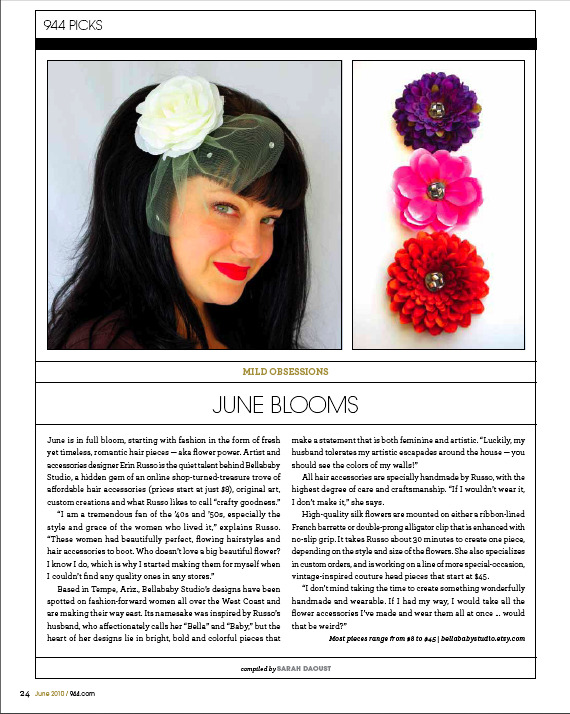 If the print is too small for your peepers, just go to http://www.944.com/sandiego and find me on page 24 of the "flipbook".